What is it to be Human? It is to be fragile, it is to have doubts and fears. If those doubts and fears drive us temporarily we are capable of all actions that we would normally shirk from or frown upon. But the anxiety, the worry that drives our mind insane sometimes can make us take the less trodden path. That is when we listen at doors, peep through key holes or go through someone else’s phone log and chats. The little quote is from a 60’s novel yet it rings true for us even in this day and age. An age where modes of communication have increased, our lives have become more public, at the same time we have more to hide, more secrets and more people who want to know them. The readers may argue not all spying, snooping or opening of mails and phone messages stems from anxiety, fears and doubts. They are right, because there are a variety of reasons people may resort to these behaviors. But I am only analyzing the emotional push that sends our sense of propriety, sense of personal space into a turmoil and we find ourselves clawing and clutching at straws to feed the demons in our head bursting to come out. And what happens after we have managed to open the mail and read it, disappointment, Because unfortunately, there is always something some one wants to keep private. And when it is discovered all hell does break loose. Has anyone tried this exercise, opened the phone messages and wondered which one’s we would not want certain persons in our life to see. There must be a few! Strangely, something prevents us from deleting them. Doesn’t it? As if we like taking this risk. I don’t know what are the complex emotions that work behind our inability to remove things which are ‘secret’, because we hate letting go, because they are reminders of time gone by? I do not know. But the impulse to check on someone else’s life, to see what they hide, (we all hide things), is sometimes unbearable, it pushes through the other senses that stop you, it curbs the conscience and suddenly you find looking into something you should not be looking at. Perhaps in this age of cynicism that we live in, we cannot expect anyone to understand the predicament through which one suffers before finding one’s hand’s in the proverbial cookie jar, but the quote from Agatha Christie touched me in its basic understanding and elaboration of the human nature that worked behind these spy like actions. Do you often spy on someone else? Tell me about it. When your father dies all of a sudden you don’t really know how to react. There are a million things happening all at once around you. You become an observer in your own life’s tragedy. It is not unlike having an out of the body experience. But it is very different from that because you are also aware of your body. You are no longer in control of your self. Something has broken and suddenly you are adrift in a sea of sorrow. It is a very difficult tine for anyone who loses a parent but more so when you are a single child and Daddy’s little princess. It is hard then to see the man who lifted you on his shoulders, so you could see the idol in a crowded Puja pandal or if you had shoe bites from all the pandal hopping wearing your new shoes, lying in a hospital bed, helpless and unable to speak. It is difficult for you to visit him in the hospital when he looks at you with the saddest eyes imploring you to take him home because he can’t speak with the tubes in his throat. The excruciatingly difficult emotions to see him not recognize you one day. It is too sudden and you are forced to face him every day in the same house where you and he watched cricket matches, argued and hugged. All of a sudden the world around you crumbles but you are left unable to grieve, because at least he is alive, even if he is not th same person anymore. In fact you do not recognize the sad man lying in the bed. he looks like your dad but doesn’t sound like him. He doesn’t know who you are anymore, the illness has wiped your memories from his mind and you are just another visitor to his bedside. May be you wish somewhere that doesn’t suffer anymore. You sit with your mom, in silence and darkness, wondering what will life be if he was no more. And just like that one morning after he is back in the hospital with complications, he is no more. You stand beside a lifeless body in an ICU and you do not know how to react. Your mom acts brave and you know you must be brave for her, because he brought you up to be a brave individual. The relatives and friends reach out to you with words of sympathy. You no longer feel that you are in the hospital, you are now an actor on a stage. You speak without tears, your voice doesn’t falter, you greet friends and relatives and try to look out for your mom. Your mother rushes around looking busy, so that nothing touches her. You know it is her way of coping. You act normal or you act weird, depends on who is watching. You know a hundred pairs of eyes are judging you but how does it matter now. It is only when you sit down, you realize you were holding your breathe. When you try to breath in the air feels stagnant, your chest hurts and you gasp and the tears flow freely not because you feel sad or lost but because you feel the loneliest amidst all the people surrounding you. Are you sad? You wonder. There is no name for some emotions. This is one of those emotions, a nameless ache inside, a deep hollow inside that you know will never be filled. One of those unspeakable horrors of life that you can never really share with anyone. Yes, that’s probably the truth about losing your father. You will never be able to stand in front of anyone and say it out loud, how much it hurt, how much it pained and how lost you feel every day. Losing a parent is not easy and you do not wish it upon anyone. But even the closest of your friend is probably thinking, ‘thank God, my father is okay’. you can’t burden them with your tears. Your best friend sends a condolence message and it is same as the one sent by any acquaintance. Why do condolences messages sound so impersonal and formal? The day moves on and more people arrive and then you undertake the last journey with your father – the funeral procession passes through familiar streets and you reach that place – the place that scares you. It is time for his last rites. The last rites are performed by you. They make you do these religious rituals. You don’t know what they mean or what they will achieve. You know your father didn’t believe in them but you still do it. You calm yourself so you don’t create a scene. But at the very end all calmness vanishes, the tears overflow and you feel like sitting down and crying like a child who has lost her father in a crowded place. But you don’t, you stand up on trembling legs. You stop the animal noises which push through your lips from somewhere deep inside. And you let you Dad go. It is the final goodbye. Everything else after that, after the fire has consumed him, is just like a surreal dream. You follow instructions, you do the needful, all of a suddenly the world outside doesn’t matter. Your head throbs and you become aware of the headache and you feel all your senses shutting down. That’s it. It’s over. Nothing will ever be the same now. You cannot say this, to your best friend. you can’t share these thoughts with your significant other. They will never understand because they have their Dad’s waiting for them back home. It is at this point that you realize why condolence messages are so impersonal and formal. Because they come from people who haven’t experienced what you just did. Days turn into weeks into months, you start a new life with a new man, no one asks about your Dad, shows no interest in knowing about him, or your past experiences. You realize slowly, in grief, we are all alone.Our lose is our own and we cans hare our joys and happiness but grief can never be shares because frankly no one cares. Not your nest friend, nor your lover, nor your spouse, no one in the world. But that’s how life is. A loss of someone may be insignificant to all but may be the single most influential moment which defines the life of one person. Grief is probably the only personal thing we can never fully share with the closest person(s) in our life. That’s the equivalent of 108 toilet seats! 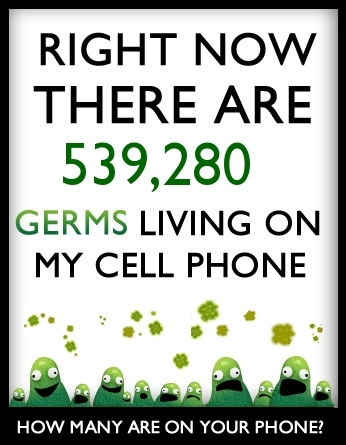 Go and check your Germ status!! It is one of those days when I have a sense of melancholy grip me. I let my mind unwind and hope that in mundane things it will forget the strain of melancholy but it doesn’t and it picks and chooses what it sees , remembers and reads. So, today very early in the morning Wordsworth made an appearance not in his beautiful Daffodil way but in a more poignant thought of Lucy. The “Lucy Poems” are a well known group of poetry by the poet William Wordsworth. I bring to you one piece from them. I don’t want to indulge in the background to this poem which is vast and also the critique for this and other Lucy poems, they are not my goal. What is however, my goal today is to share a thought. We all face a loss of some kind or the other. The loss of a human close to us is perhaps the most difficult. In the greater context of life, loss of any human life is difficult to deal with. Detractors may smirk at the RIP messages that fill the webspace when a celebrity death happens but I see it as a reminder that Death touches us all in the same way. We are reminded of our own fragility with each death we encounter and in some part of our mind we are thankful for our life, right at that moment. Personal loss of any kind is always hard to describe because it suffers from the stigma that society puts on mourning and what is to be considered the appropriate amount of time acceptable as time of mourning. What society does not realize or perhaps ignores for the greater good is, one cannot stop mourning the loss of a personal nature. Grief and sorrow do not come and go only because a time span has elapsed. There are certain loses which can never really be forgotten or forgiven (sometimes).